Hello lovelies, hope you're all well and enjoying the gorgeous sunshine, if you know me you know I HATE the sun haha, I'm a winter girl through and through, the heat just stresses me out, if I'm ever brown it's all fake, I'm like casper, maybe if I actually got a natural tan I might like the sun a bit but I blame my dads fair sensitive Irish skin and handing it down to me, anyway today I thought I would share with you all what me and my little family got up to in the half term. 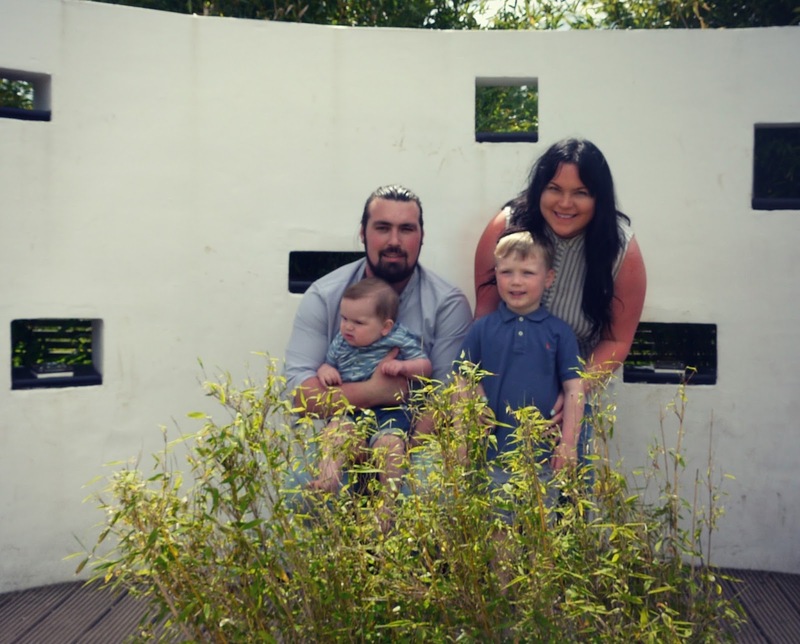 We went to Trentham Gardens, we had never been before it is right next to the Monkey forest which we have been before but never thought of going to Trentham Gardens, we literally just thought it was a big garden full of pretty flowers, it is but so much more! The kids loved it and so did we, we went on a boat, a cute little train, had lots of fun in the park, me and Oscar did this bare foot walk, it was gross but fun at the same time and we also managed to do a maze, were usually rubbish in mazes and give up but we did good in this one, I have vlogged our day out and shall pop the video below for you to see. 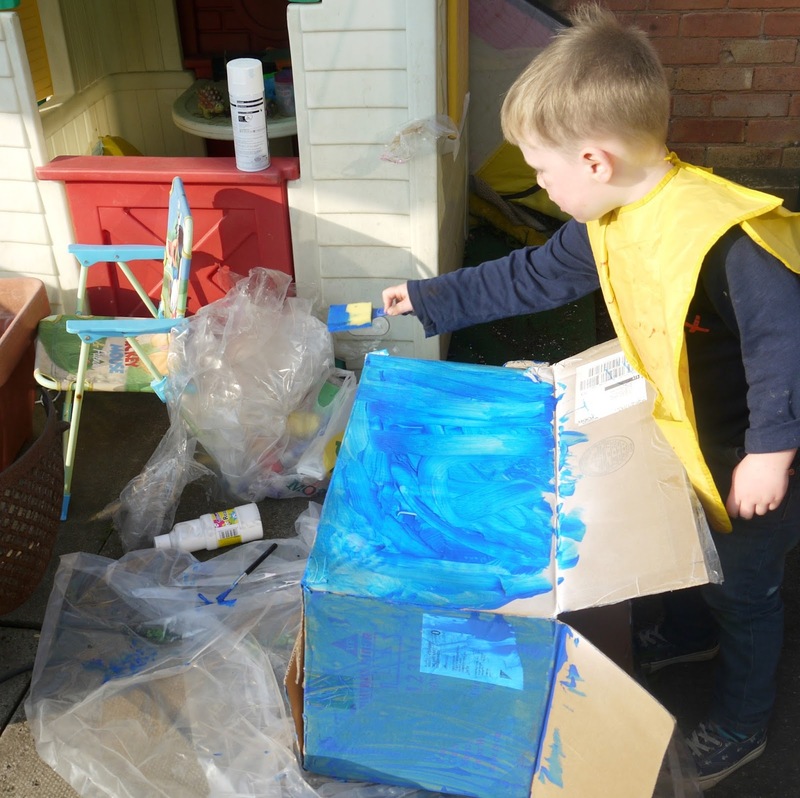 We had lots of crafts, me and Oscar made a cardboard car, he had so much fun painting this then running around the garden with it, it's amazing how much fun a cardboard box can be! Dan bought a lazy spa, so we had lots of grown up fun in this especially at night times, I set my Mac up outside and we watched chick flicks with drinks and candlelit, it was super romantic and so nice, the kids also had a go in it when we set it up and they loved it just as much as we do. We did the usual things like going to the park, up the forest and avoided soft play places like the plague! 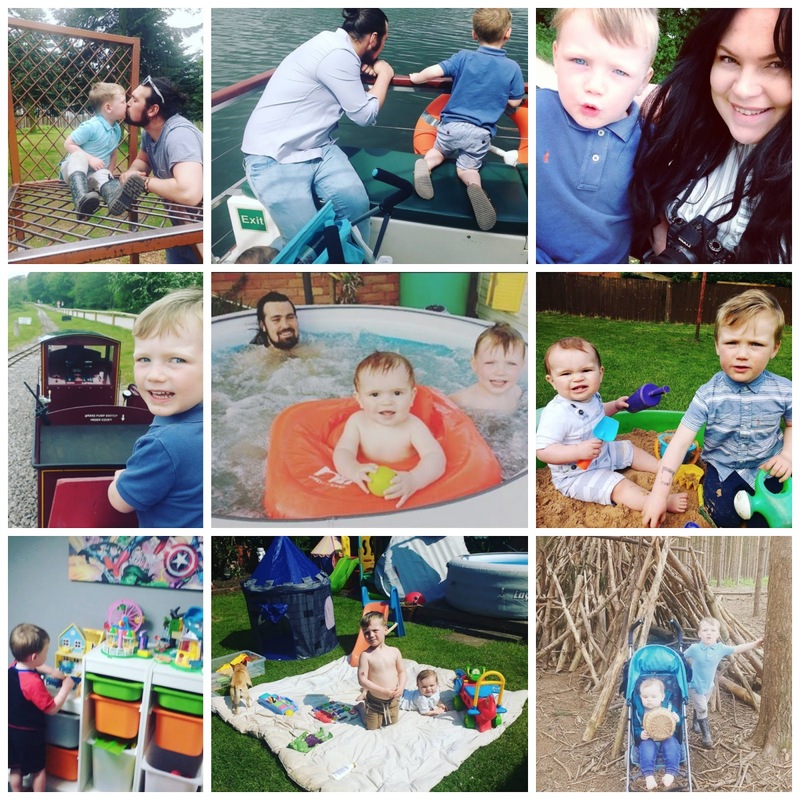 We played with the kids toys with them, visited grand parents, Oscars been riding his bike loads, we have been enjoying the sun in the back garden with the paddling pool and just had so much fun. What did you get up to in the half term?